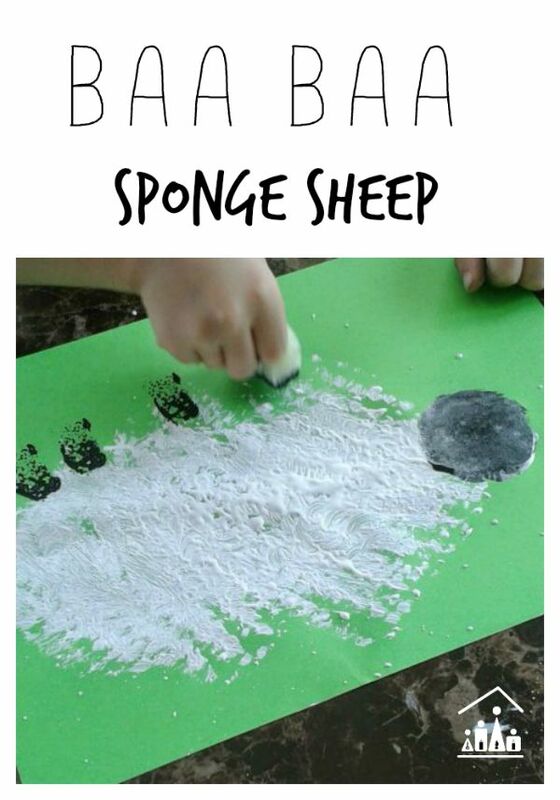 A fun sponge painting for kids activity to enjoy doing as part of a Farm Unit or after singing the popular children’s nursery rhyme, Baa Baa Black Sheep. My 2 year old daughter is really enjoying playing with her farm animal set this week. She’s great at making all of the animal sounds now, even if she still gets them a bit mixed up sometimes. Her favourite animal is her “Baa Baa Sheep,” so we decided to make sheep one of our art projects this week. 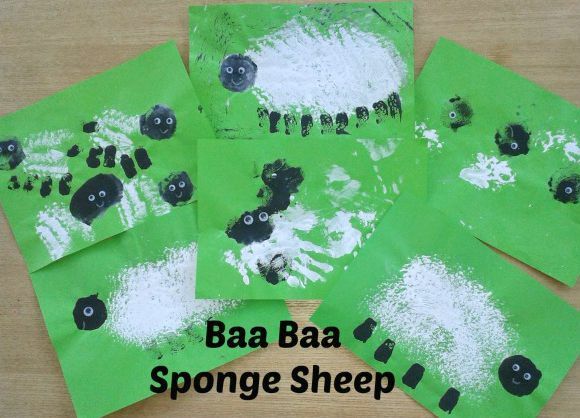 I had bought some cheap kitchen scourers recently and I thought that these would be perfect to create the woolly texture of the sheep’s coat and would provide an interesting twist on a “Sponge Painting” activity for kids. I also had some standard washing up sponges to hand as well, so I cut circles and rectangles out of these to use to paint the head and legs. 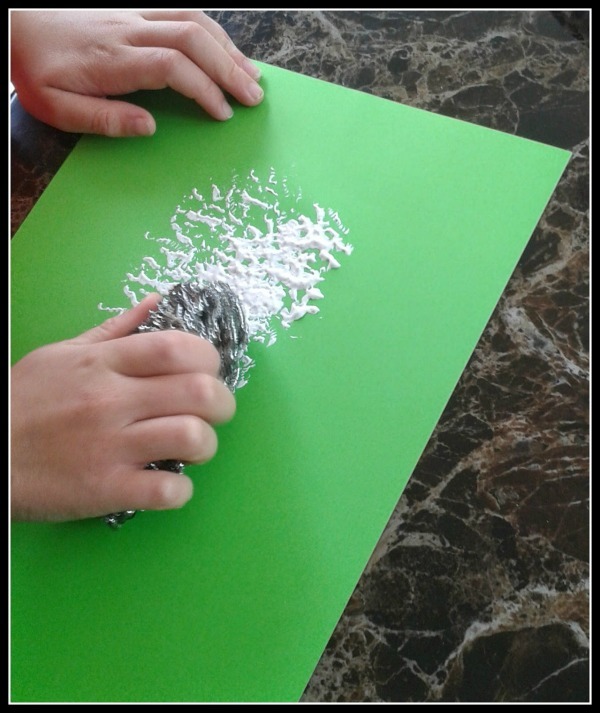 I squeezed out black and white paint onto paper plates, so they could easily dip their sponges and scourers into it. We all sat down together for this activity. I gave my 6 year old a blank sheet of paper, as he was happy painting his sheep by himself. My 4 year old asked for me to draw a “Sheep shape” onto his piece of paper to help him with his painting. He does lack a bit of confidence in his free drawing, but he is only still very young, so I m happy to help him out when he asks me too. I gave my 2 year old a blank sheet of paper to let her create her own picture and if it turned out looking a bit like a sheep then that would have been an added bonus. It’s great to see what she comes up with. You never quite know what you are going to get, except that it will probably include a hand print of some kind. The boys happily worked away at their pictures, whist I supervised my toddler daughter. My 6 year old is very good at following instructions, so he created a classic sheep. Whereas my 4 year old, who has a great imagination, had to add in a few of his extra special touches, a few extra legs in this case and some rain. Now my daughter had great time “exploring the materials” mainly by painting herself leading to a lovely handprint version of a sheep for her picture. She really enjoyed herself though which is the main thing. Happily I managed to steer her towards the bathroom and away from the walls just in time! Once dry we finished off our sheep with some googly eyes and a little smile. 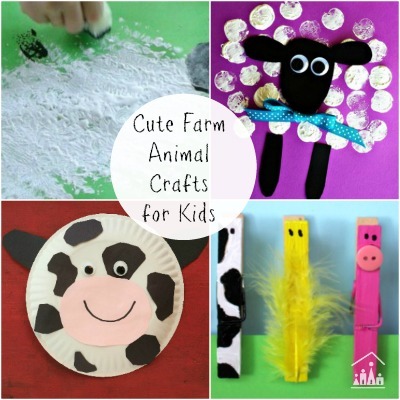 Love this quick, simple craft! And the pics at the end. It's so funny to document the changes in kids art with age. I love keeping a selection of their works to look back on and see how they ve come on overtime. the pictures all came out great! I like the texture and how the paint turned out! Thanks the scourers worked out really well to create their wooly coats! This is great – so simple, yet effective. Must give it a go with mine! Thanks. Arts and crafts don t have to be complicated it s good to keep things simple when your dealing with multiple children! Thanks. They look great displayed up on our wall now as well. Sensory based activites are great for 1 year olds. Here is a great one from a fellow blogger http://thetraindriverswife.com/2014/08/01/large-edible-water-beads/ using edible water-beads. She has an 11 month old son and her blog would be well worth checking out as she has lots of ideas for sensory based activites which you could try out. This looks like such fun – and so simple! I love the hand prints too. I'm a sucker for all things involving hand prints! Handprints are fab aren't they and they are so nice to look back on as they grow up!